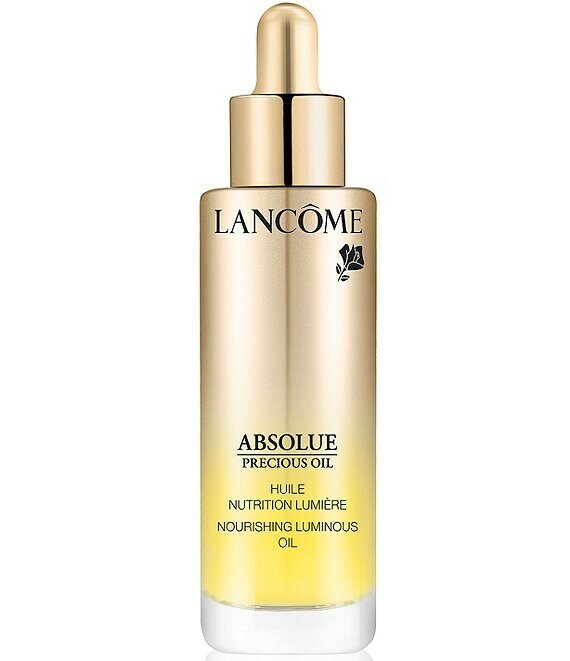 Absolue Precious Oil is our new, multi-solution texture that that reveals the vital force of the Golden Glow. Lancome has found the perfect blend to nurture and revitalize the skin, reviving its radiance and beauty. Absolue Precious Oil reinforces the skin's barrier function, helping to maintain moisture. Radiant skin is unveiled, softer and suppler. Absolue Precious Oil melts into the skin in an intensely luxurious moment to deliver moisture and luminosity to the skin, leaving a satiny finish, delicately scented with the Absolue signature fragrance: Majestic Rose Heart, inspired by the Lancome Rose.